Bike Rides for all the Family! We love riding our bikes and want to share our passion! 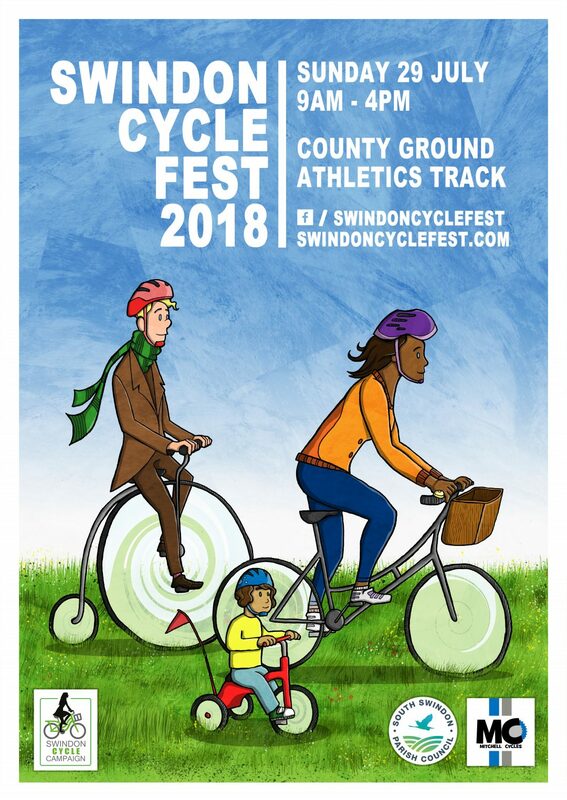 There’s a range of free led bike rides to join in with at the Swindon Cycle Fest, including rides led by local cycling clubs. So whether you’ve just learnt to ride a bike or cycle everyday there’s something for you to get involved in. To join a ride you can sign up in advance on the Let’s Ride website or sign up on the day at the Ride HQ near the entrance to the County Ground Athletics Track. Professional Freeride Mountain Bike rider Grant ‘Chopper’ Fielder will be running cycle skills session for all abilities throughout the day. These sessions are for both adults and children and free of charge. You can sign up in advance by emailing your name and age to swindoncyclefestival@outlook.com or sign up at Grant’s stand on the day.